Well, it’s that time of the year again. The holiday season is nearly upon us, and for many of us, this means that the annual ritual of gift giving is also coming quickly! I hope that doesn’t make me sound like a Scrooge – I actually love Christmas and giving gifts to my friends and family! With that in mind, I thought a holiday themed tutorial might be a good idea. 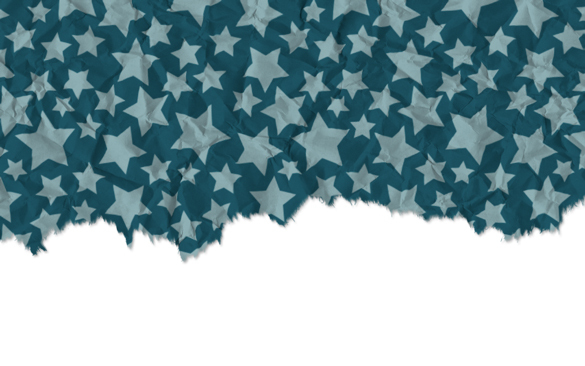 So, I’m going to show you how to create your own crumpled and torn wrapping paper effect in Photoshop, pretty much from scratch! All we’ll need is a seamless pattern and a couple of stock images. I actually came up with this technique for a recent client project, in which they wanted a “holiday” theme. 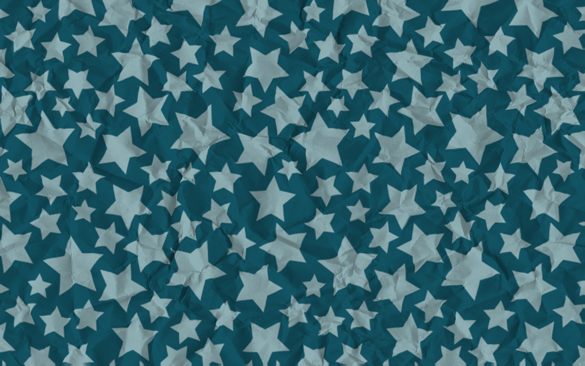 I searched some of my favourite stock photography sites for some wrapping paper images, but really didn’t find anything all that useful. So, being a resourceful Photoshopper, I simply shrugged my shoulders and decided to make my own! This also had the added benefit of my being able to use a custom pattern, with the client’s corporate colours. That’s pretty much it. Now that we have all of our material, let’s get started. 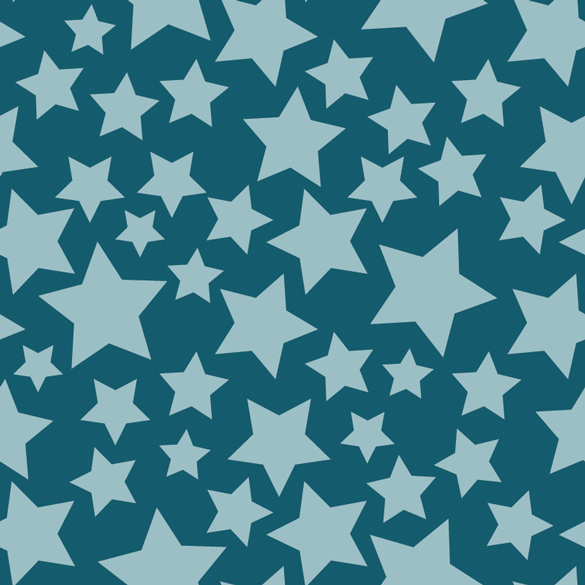 First, we want to set up our pattern to be used in Photoshop. To start, open the vector file in Photoshop. The import dialogue box will allow you to set your DPI, which will determine the size of the pattern in pixels. 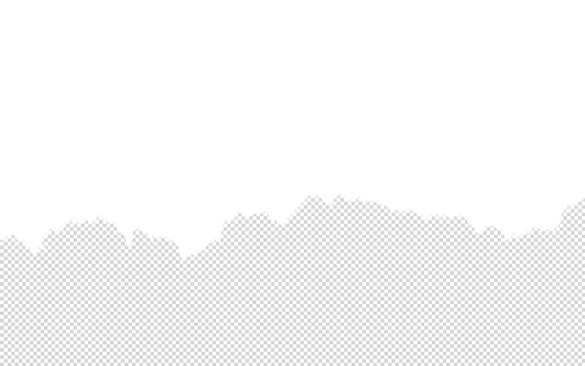 In this case, we’ll just use 72 DPI, but if I was designing for print, I would definitely set this to 300 DPI. With the pattern now open, press Command-A (PC: Ctrl-A) to select the entire document. Then, select Edit » Define Pattern from the menu. Give the new pattern whatever name you want and press OK. The pattern is now set up for use in Photoshop. Since we’ll be creating this effect, we might as well do something with it, so we’ll be working with a canvas size that is perfect for using as a desktop background (at least for my MacBook). 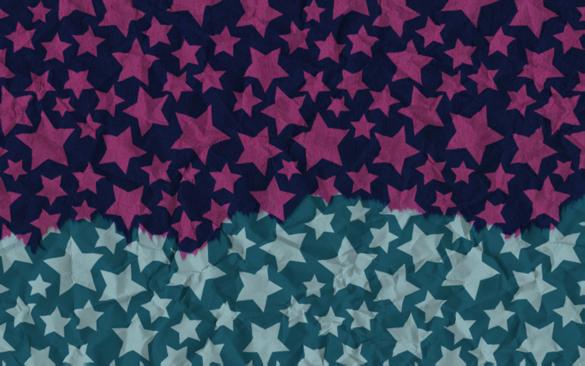 Now, select Layer » New Fill Layer » Pattern from the menu. Name your layer “Pattern” and press OK. This will bring you to a new dialogue box, from which you can choose the pattern that you want to be applied to your fill layer. Pull down the drop down, as shown below, and select our pattern. It should be the last one on the list. 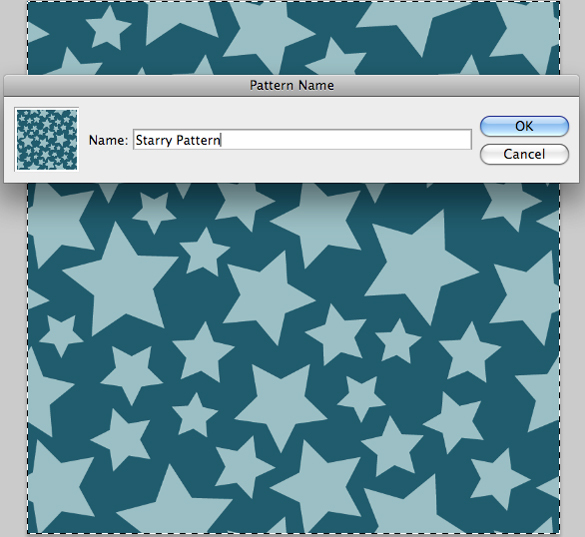 You will also want to reduce the size of the pattern, in order to see the more of the actual pattern itself. The beauty of fill layers is that they do just what they sound like it should – they spread out to fill the entire canvas, without stretching out. The pattern will simply repeat over and over at the specified size. The next step is really quick. We’re basically going to convert the pattern into a Smart Object. Just right click on the pattern layer and select Convert to Smart Object. There, that’s done. You could simply fill layer, but I always choose to use Smart Objects because of the extra flexibility it offers. It allows you to open it up and change your pattern very easily, and to use Smart Filters – which are essentially just regular filters which, when applied to Smart Objects, are fully editable. Alright, now that we have our pattern, let’s get to work at the rest of our effect. Select File » Place from the menu and navigate to the folder where you’ve saved the required resources for this tutorial. 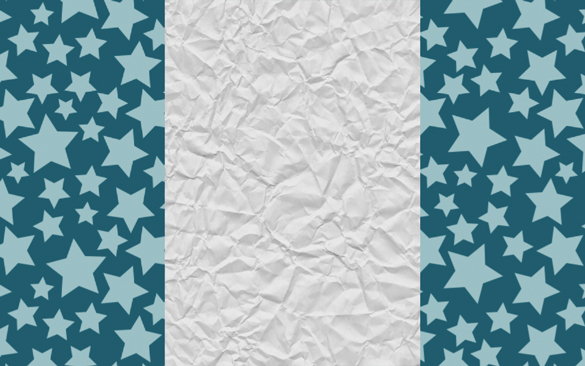 Select our crumpled paper image and press OK to place it into the document. This will create a new smart object. However, the image will be imported in portrait orientation, and will be scaled down to fit our canvas. Just rotate the image 90 degrees and expand it to fill the entire canvas. Open the Layer Pallet and, if necessary, readjust the layers so that the crumpled paper layer is directly above the pattern layer. Then set it’s blending mode to multiply. 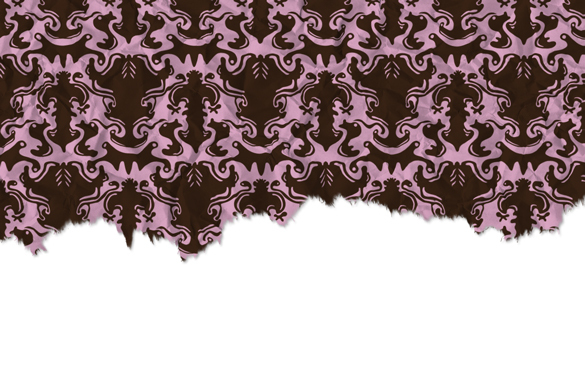 This will apply all of the shadows from the paper image and apply it to the pattern. This step is what gives the effect it’s primary sense of depth, but we’re going to add to the effect and create a higher sense of realism by applying a simple displacement. Photoshop’s Displace filter is, in many ways, like a texture mapping tool. It allows you to apply a “map” (another Photoshop file) to a layer, and have the pixels displaced based on the various value of the file you select. Now, select Filters » Blur » Gaussian Blur from the menu. Set the blur radius to about 2px. This should give us an nice softening, while still maintaining the more prominent details. Save this document as a Photoshop file in whatever folder you’d like, call it “displacement.psd”. Switch back to our main document and select the pattern layer. Next, select Filters » Distort » Displace from the menu. Set your horizontal scale and vertical scale to 5px. This setting determines the maximum degree of displacement that will be applied to the document. 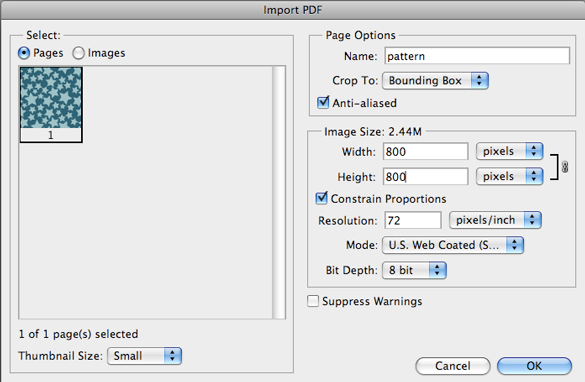 The other settings in this dialogue box basically determine the displacement behaviour along the edges of the document. We’re not going to worry about that right now, so press OK.
An open file dialogue box will appear. Navigate to the folder where you saved displacement.psd and select the file. Our pattern layer will now be displaced, according to the light and dark values of our displacement file. 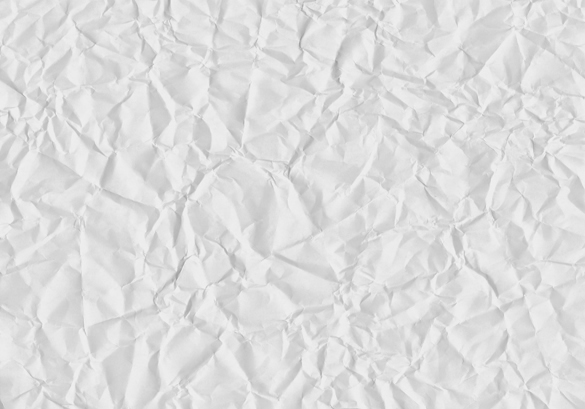 Since this file is just a duplication of our crumpled paper texture the displacement will also match the shadows of that texture. Like I mentioned earlier, the change is pretty subtle, but if we compare a close up of the document before and after the displacement, we can clearly see how the displacement has added a real sense of depth! Next, double click on the layer icon to open up the contents of the Smart Object for editing. We’re going to play with the channels a bit here and create a simple black and white tear. This is part of the reason that I chose this particular image. It’s colouring actually makes it ideal for what we’re going to do! Select Image » Mode » CMYK Color from the menu. 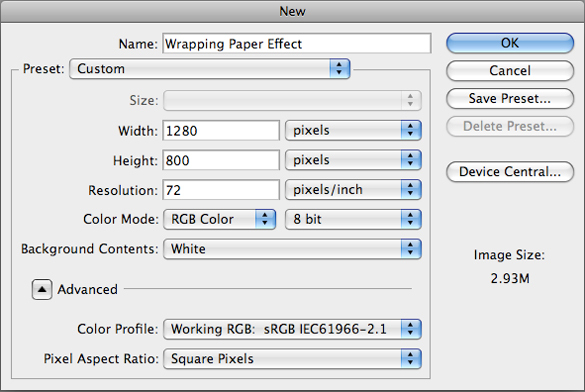 This will convert the document from the RGB to the CMYK colour space (but won’t effect our main document). We do this so that we can access the Magenta channel, which is not available in RGB mode. Because this image is predominantly pink, the magenta layer is almost exactly what we want, right off the bat. So, open up the Channels Pallet, select the Magenta layer and duplicate it. Select Image » Adjustments » Brightness & Contrast from the menu and reduce the brightness by 25 and increase the contrast by 25. This should help make the darker area blacker and the lighter area whiter. Now, create two new layers. Fill the bottommost layer with white. Then, with the topmost layer select, Command-Click (PC: Ctrl-Click) the thumbnail on our duplicated Magenta channel. This will create a new selection, based in the black and white values of the channel. Invert the selection (Mac: Command-I; PC: Ctrl-I) and fill this new selection with black. Now, fill it again. I do this twice just to make sure that everything is properly saturated. Okay, we’re getting there. Start by creating a new fill layer. This time, though, all we need is a colour, set to white. 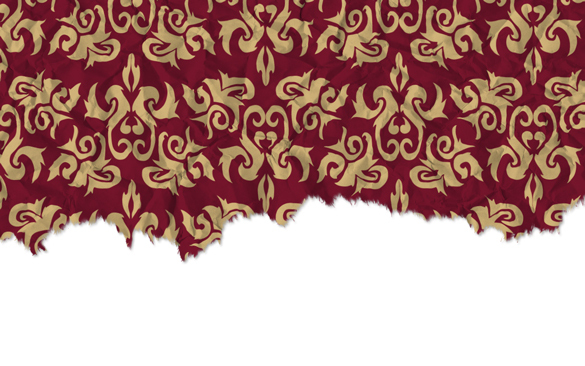 Drag this fill layer beneath the pattern layer and delete the layer mask that is automatically generated for it (we will add a new one in a few moments). Open the Channels Pallet again and Command-Click (PC: Ctrl-Click) the thumbnail on the RGB channel to create a new selection. 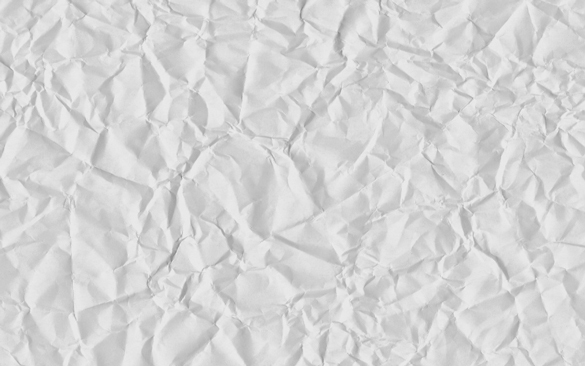 Finally, reveal select both the crumpled paper layer (still set to multiply) and the pattern layer. Right click on either of them and select Create Clipping Mask from the contextual menu. Voila! That’s it. Now, in case you’re wondering why we’re using a layer mask and and clipping mask, it’s because the clipping mask allows us to mask two layers at once (both the crumpled paper layer and the pattern layer). We could achieve the same thing with two identical layer masks, but I always find that the clipping mask works better when masking multiple layers at the same time. This is especially true if when you start start masking even more than two layers. To finish off the effect, I simply added a drop shadow layer style and a white background. Well, I hope you enjoyed this tutorial, and that you learned a thing or two. I think this is a really fun effect and I enjoyed putting it together. One of the things that I like the most about it is that it’s almost like a template. Using the Smart Object pattern, we can actually change the pattern on the paper really easily. 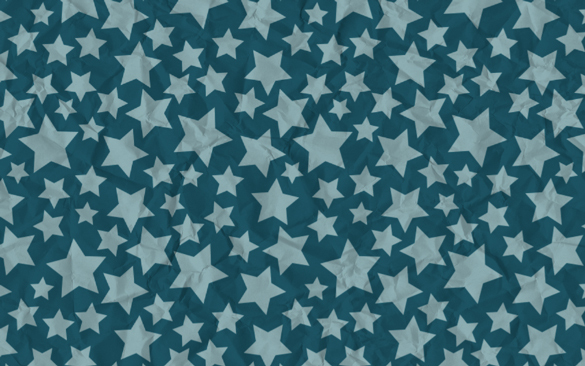 Here are a few examples of the exact same effect, just using different patterns (you can also download these different patterns from my own blog – just click on them)! Each version took about two minutes to create. All I had to do was open the pattern smart object and change the pattern on the fill layer. Easy as pie! The PSD of this tutorial is available as a free download too! I guess that pretty much wraps up this tutorial, though. Again, I hope you enjoyed it, and whatever holiday you’re celebrating over the next few weeks, I wish you the very best. Awesome tutorial. Looks very realistic, and can be done rather quickly. Great job! Fabulous tutorial! I have always used blending modes with my overlays, but shall bookmark this to play with as I am always interested in learning NEW methods that I am not yet familiar with! Fabulous tutorial, really useful! Thank you! Nice Displacement trick there! Never thought of using it before! Wow guys! This is really a useful tutorial, thanks for explaining every single step so clearly. Spyrestudios is becoming one of my favourite resource for creativity, thanks! Wow! The result looks good ! 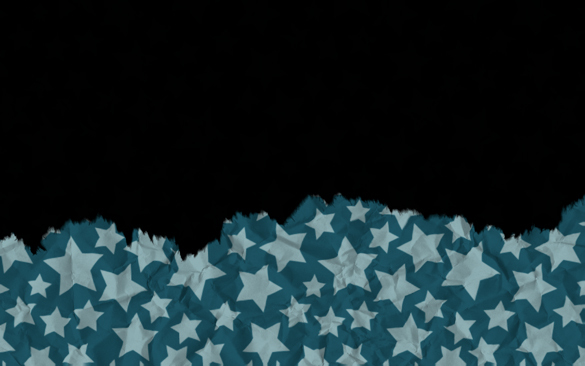 Adding depth with displacement is cool! Hey guys! Thanks so much for all the really nice comments on the tutorial. Really appreciate it! @GDevelop, @Licheng & @Muhammed – Yeah the Displace filter is a pretty cool little trick. Works really well in instances like this, where you need a subtle distortion to help add a little depth! Hope you’ll find it useful somewhere down the road! Nice. The technique can be used also for textile. Wow, gotta chime in with everyone else and say I loved the displacement trick. Excellent tutorial!